Hypnobirthing is a method of natural childbirth, begun by Marie Mongan, that uses self-hypnosis (deep relaxation) as a means of pain relief. It is also known as the Mongan Method. It encourages the use of imagery, music, and deep relaxation to bring about a sense of natural euphoria and release endorphins in the brain. Endorphins are a chemical produced by the body that is tested to be more powerful than morphine. When the body is calm and free of fear, endorphins replace the stress hormones called catecholamines that cause pain and tension in the body during birth. What will I learn in HypnoBirthing classes? 6 years ago, I was almost finished with my Bachelor’s Degree in Marriage, Family, & Human Development at BYU and starting married life with my husband. I had never thought much about childbirth and been exposed to it even less. Most of what I had seen came from TV and movies and books my mom had lying around. A little over a year later, I found out I was pregnant. I started thinking about the kind of childbirth experience I wanted. I remembered picking up a magazine in the lobby of an auto repair shop on Utah County’s top businesses, and was surprised to find that a place called Mt. Timpanogos Women’s Health Care was listed. It talked about the CNM’s (Certified Nurse Midwives) that worked there, and how they were changing the way women birthed for the better. I decided to use these midwives as my care providers. Slowly, over the next several months, I developed my own paradigms about birth and how I wanted to experience it. The midwives were very aligned with what I was thinking and feeling…they encouraged me to make natural, healthy choices about my pregnancy and birth and supported me in every decision I made. They were very open to a calm, hands-off birthing process free of needles, unnecessary monitors & machines, and medical interventions such as epidurals & episiotomies, but still within the secure surroundings of a hospital room should anything unexpected occur. When it came time to choose a birthing method, one of my midwives suggested HypnoBirthing and I decided to look into it. At first, I thought it sounded strange. But I decided to find out more, and as I did, I realized that it was very much what I wanted and was looking for in a childbirth experience. In April 2007, I (with the tender help of my sweet husband and midwife) gave birth to my first child, a daughter, using this method. Then, in February 2009, I used HypnoBirthing again to bring my 9 lb. 13 oz. son into the world without medication. My third child was HypnoBirthed into the world in the water at a local birth center in April of 2011. All three experiences were absolutely wonderful! If your story seems similar to mine, I encourage you to read my site and the HypnoBirthing text, and pursue this method. I think you will find great fulfillment in your birth if you do. This site is dedicated to helping women find joy and fulfillment in their lives through birthing their children naturally and calmly. How can I tell if this is for me? You are someone who questions the status-quo and doesn’t like to “go with the flow” when it comes to your health and your body. You want to try natural childbirth, but are afraid or unsure of your ability to do so. You have always wanted to give birth naturally and are completely against drugs. You have had previous children, with or without drugs, and a negative birth experience. You have tried childbirth with an epidural and want to see “how far you can go” without one. You have a low-risk pregnancy (no predisposition to birth defects or premature births). You have large babies and want to try to deliver a large baby naturally. You want your baby to be born happy and have an easier time transitioning to the world. You want to gain more confidence in your body. You want to bond more closely with your baby both before and after birth. You have a supportive spouse or birth companion who is open to Hypnobirthing and willing to help in any way during the birthing process. You want to have a positive, fulfilling childbirth experience. Fiona is the main writer on this site. She is a 28-year-old mother of three and resides in Utah. She has a Bachelor’s Degree in Marriage, Family & Human Development from Brigham Young University. She works from home as a piano teacher, blog writer, and childbirth instructor. She also loves to sing and dance, and has performed with BYU choirs and dance groups, the Hale Center Theater, the Wasatch Chorale, the Deseret Chamber Singers, and the Utah Chamber Artists. 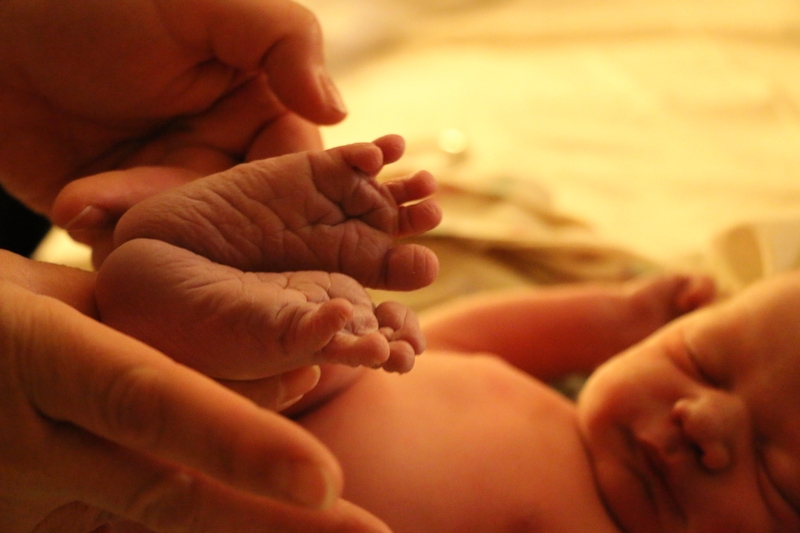 iHypnobirth relates many practices taught by the Mongan Method. We are an affiliate of the HypnoBirthing Institute.